In the “House of the Future” the Fundación Pueblo girls and young women from the country have the opportunity to complete a solid vocational training. Doors to a qualified profession are opened. Some even start their own small business. So the cycle of poverty is broken, even if the women want to migrate to the city. In rural areas of Bolivia there are hardly any opportunities to benefit from a vocational training that comes even close to the same level in the urban centers of the country, especially for female adolescents. So most of the girls and young women who hope to find a way out of the grinding poverty of the countryside migrate to the city from their home communities only to find themselves again being poorly paid and poorly treated domestic workers. The vicious circle of poverty is not broken by migration, only shifted from the countryside to the city. In the big cities of Bolivia there are good technical training centers that provide a nationally recognised and valued qualification in the labor market. They charge little or no tuition fees. However girls and young women from the countryside do not use these deals, because the cost of living in the city is far beyond the financial resources of their parents. The way out for a female youth trying to earn a living in the city with child or youth work, always comes at the cost of the training period. Left to fend for themselves in the city many girls and young women fall victim to the unfamiliar risks of urban life, such as drug use and prostitution. 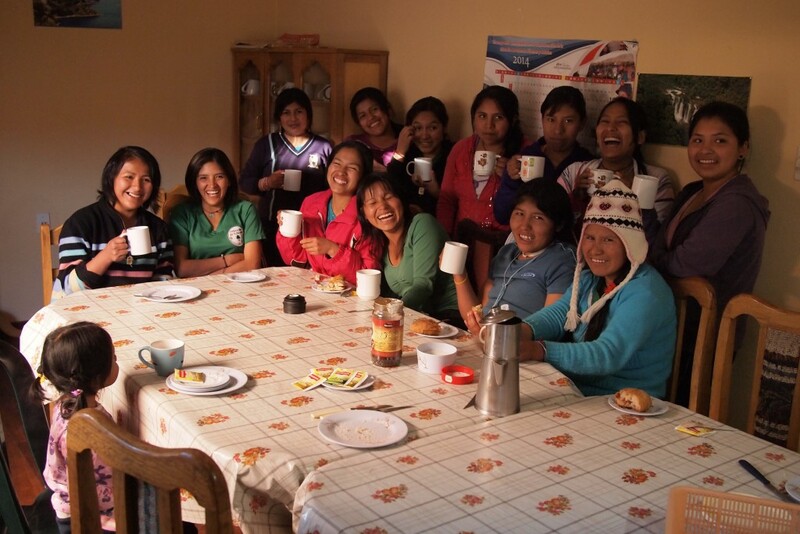 The Fundación Pueblo’s project “Access to technical training” breaks this vicious cycle by offering female teenagers from the country a year supervised in our “House of the Future” in El Alto (La Paz). By obtaining a skilled technical professional qualification, the young people get significantly better chances of finding a more sophisticated and better-paid job. At a later date a family formed will have a more solid foundation. What the young women have learnt in the vocational school and though their internships is often used to set up their own small operation, whether in the city or in their rural home region, in the form of for example a tailor shop or a small bakery. As well as the technical training offered, the Fundación Pueblo also offers the youths in the “House of the Future” an extra-curricular training program. These include remedial classes in voice, writing and computer courses that introduce young people to the required level in the city. Events and joint activities in the field of health and sexual education, culture, sports and team building are aimed in particular at strengthening the skills and self-confidence of the girls and young women.